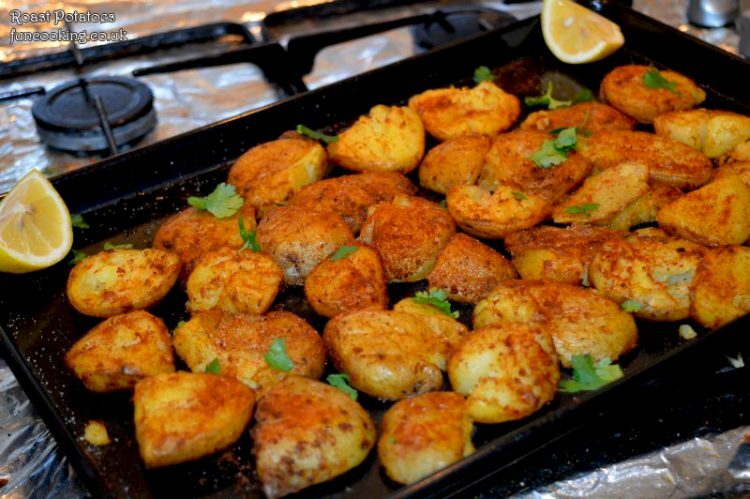 Roasted potatoes a best side for any meal or chicken/lamb roast. 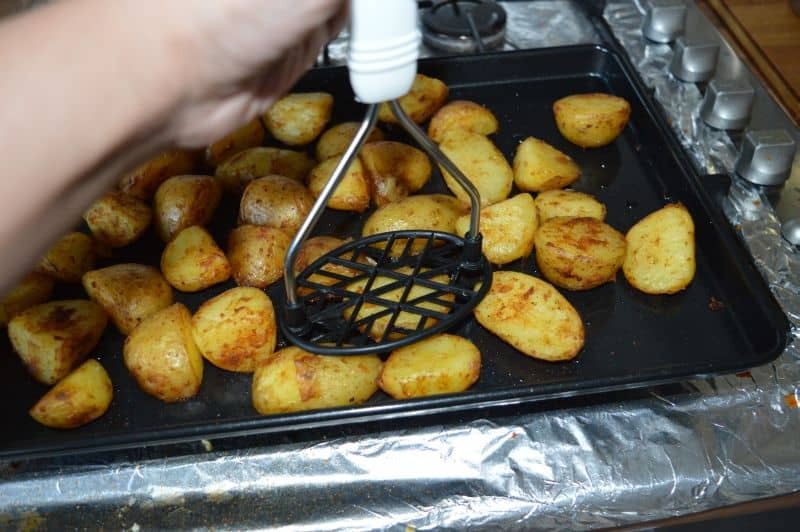 There are some basic tips of making them, if you follow them your roasted potatoes would always be perfect. 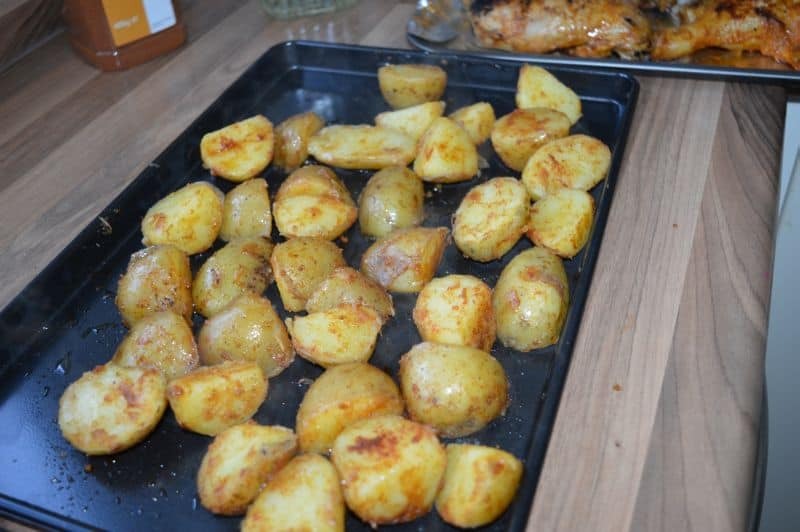 I made Peri Peri roasted potatoes today. You can use any flavour of your choice or just make it with garlic and salt. This is my comfort food when I serve it roasted chicken. 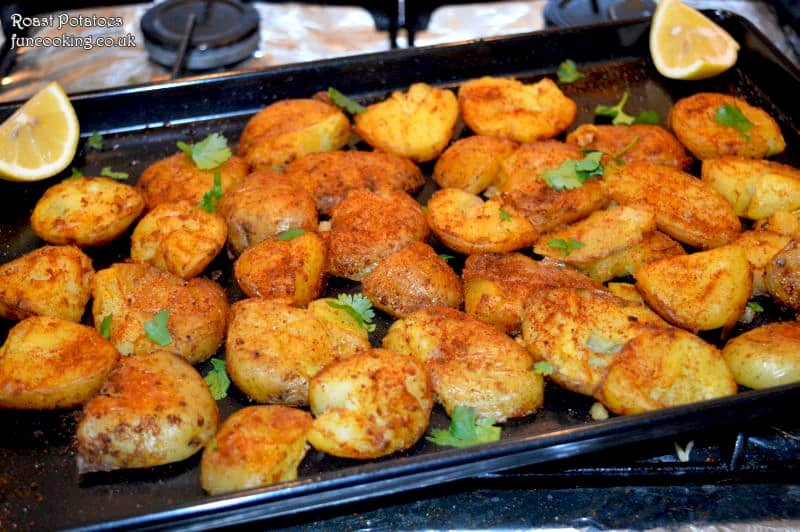 My Sunday roast recipe with lots of spices. It is a complete meal when I serve it with chicken and a yogurt dip. 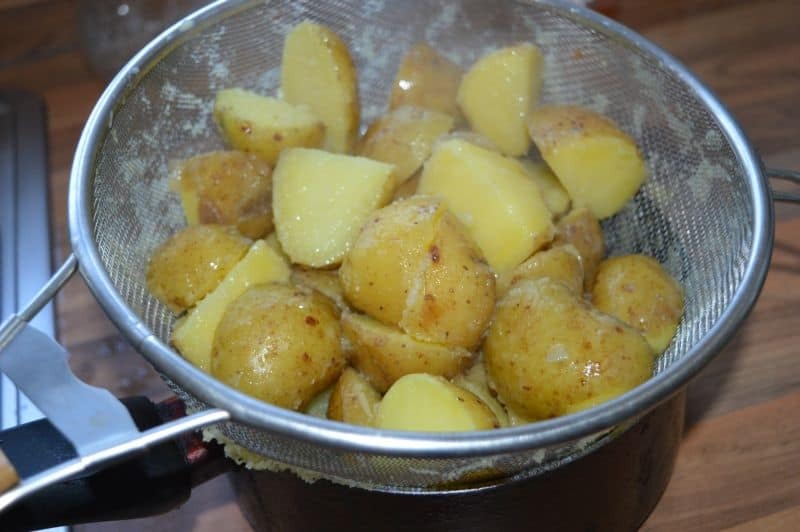 Cut potatoes in small pieces. 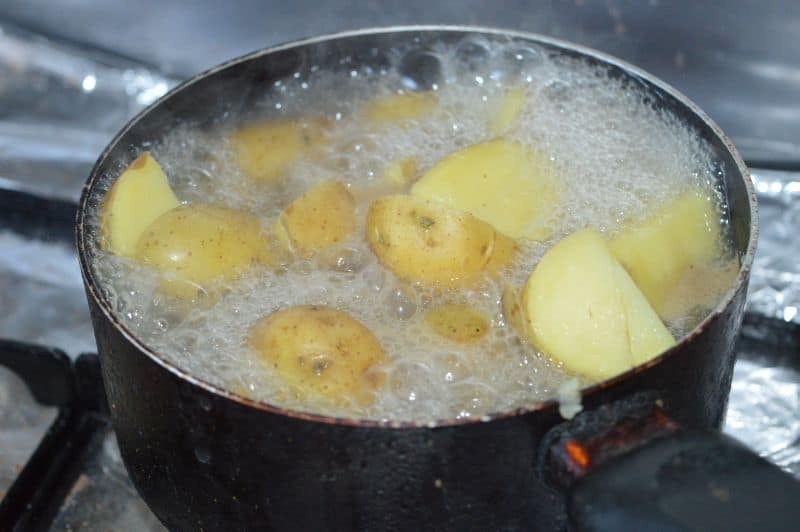 Boil them in water with some salt until almost full done. Sieve them, throw all water. 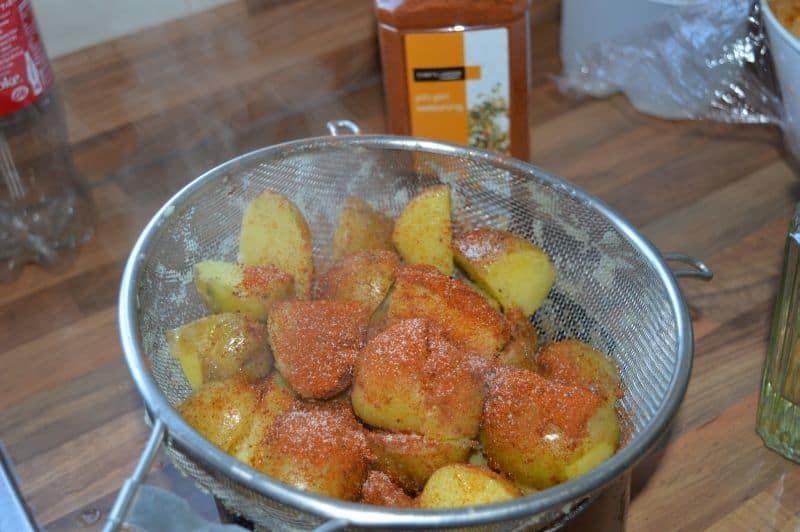 Sprinkle salt and peri peri seasoning. Mix well. Spread over a baking tray.Pour oil on them. Now bake them in a preheated oven at 180 C for 45-50 minutes. For extra crispy texture press them a little with a masher after half baking time. Do not mash them.